(We cannot do Betamax, Secam, or PAL Transfers to Budget DVDs, only to: Basic DVDs or to Deluxe DVDs because of the limitation of the VHS to DVD Recorder) We also cannot transfer Movie Film to a Basic DVD, as this requires a computer to capture and edit to. We use a VHS to DVD Recorder* to copy 1 VHS tape onto 1 DVD automatically for up to 2 hours...does not include a "Title" on the Menu screen when the DVD is played, it may be burned onto a bargain-brand generic DVD* with a paper sticker label,* (but not labeled with a "Permanent China Markers" like some of our competitors) then put into a paper window sleeve*. These are not monitored nor edited, any blank tape left when your recorded video ends, is not removed (if you video tape for only 1 hour and 20 minutes, the finished DVD may continue to play for another 10-40 minutes past the end of your recorded video). For only $10 per tape*, you get bargain-brand generic DVDs* recorded automatically for up to 2 hours by a VHS to DVD Recorder*, with a printed paper label sticker* (not "Permanent China Markers" like some of our competitors! ), placed into a paper sleeve*. 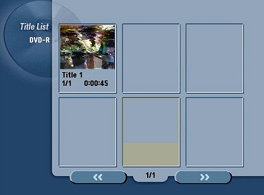 Your video automatically burns directly to DVD for up to 2 hours...if it is less than 2 hours, it will continue to play static or a blank screen past your video tape's ending (example: a 1hr. and 15 mins. video may continue to play for up to 45 more minutes) This blank space cannot by edited-out on a Budget DVD and is not removeable. The Budget DVD package is best for transferring unknown, or large number of VHS tapes that only need to be archived, and are not suitable for presentation to a group. There are NO VOLUME DISCOUNTS with our "Budget" DVD package (1 or 100 are $10* each), only 1 tape can be burned per DVD, to add more than 1 tape per DVD (please use our Basic or Deluxe packages). Because of the "direct to burn" VHS to DVD Recorder, Betamax, PAL & Secam are NOT available for our Budget packages (please use our Basic or Deluxe packages). 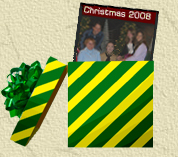 This product has a faster turn-around than the "Basic" DVD package, since this is no editing, no Menu Titles to type, and no DVD Case covers to print. *($10 is for VHS TAPES ONLY, camcorder tapes are $13 each, Movie Film, Betamax, PAL, and Secam tapes, SD card videos, and Flash Drive videos CANNOT be recorded with the VHS to DVD Recorder...our "Deluxe" and "Basic" DVDs on the other hand, use High Quality printable national brand DVD-Rs by Verbatim® or Memorex® (not sticker labels) and are placed into high quality full-size 14mm plastic DVD cases. Don't have a VCR anymore and not sure if you want to transfer a certain tape to a DVD? We can help you with that too, for a $5 charge per tape, we can preview the first 15 minutes of a tape and tell you what's on it, so you won't have to make a DVD of an old football or basketball game from 1986! No store will do that for you! Inexpensive: only $10 for each VHS Tape (plus shipping and handling). Chapters automatically set every 10 minutes. us for $3.00 per DVD. With this service, a DVD can be re-made for you in usually 2 days. Our Guarantee: Our DVDs are produced on new high-quality national brand DVD-R permanent media. If your DVD player* FAILS to play any of our DVDs within 30 days, please return them and we will re-burn it for you on a DVD+R type at no additional charge. Please check your DVD player's ability to play recordable DVDs by clicking: Compatibility. Because the digital material we produce can take several hours per DVD or CD, and has the potential to be copied, we cannot offer money back, but we do make every effort to meet your requirements. *Because of the many different operating systems, and video codecs requirements, these are designed to be played in DVD players, due to the additional processing time, a charge of $3 extra per DVD will be added to allow them to play in a computer. All Prices and Services subject to change without notice. Send mail to sales@dvdmakr.com with questions or comments about this web site. "DVD Makr Video Transfer Services" is registered with the Florida Dept of State Division of Corporations, and with the Florida Department of Revenue. DVD Makr is authorized by the FL DOR to report and collect state sales tax (Form DR-11 available upon request). NOTICE: (1) DVD Makr WILL NOT TRANSFER copyright-protected videotapes or DVDs (store-bought movies), nor videos of any legally questionable, immoral, or vulgar material. We reserve the right to refuse any items of this nature sent to us and you will be responsible for the return postage. (2) We value the privacy of our customers: when your videos are processed to a Basic or Deluxe DVD, your videos are kept in your unique folder on a computer hard drive for at least 30 days, and will never be shown, duplicated, posted online, or sold to anyone other than yourself without your permission.